passing of Nilaya my beautiful "Sister." and pride to our family. such magnitude that it is incomprehensible. her loving husband Paul (Khalis). a piece of your life. You captured my "Heart and Soul." We are so fortunate to have been touched by your love. and all the work that you did to make my dream come true. I miss you more than I could ever say. 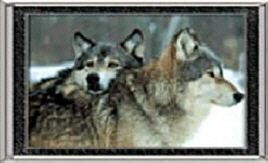 by our WolfPack and "Mack"
� All of my page work including but not limited to design, photo editing, original graphics and poetry is copyrighted... Please do not take, publish, or change in any way without my express written permission... Thank you for visiting and please come back often.